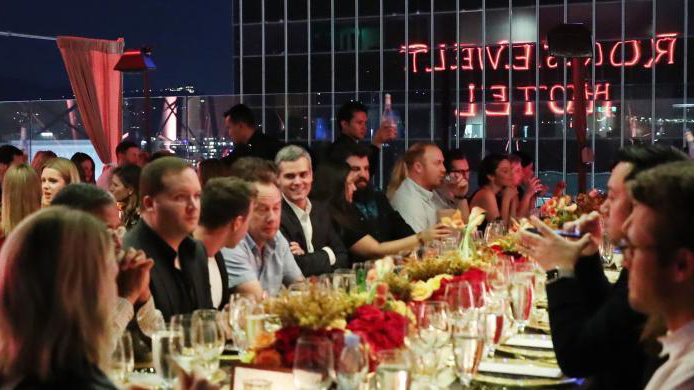 Chef Michael Voltaggio put on quite a spectacle last week as he curated a dinner to remember on the rooftop at The Hollywood Roosevelt. 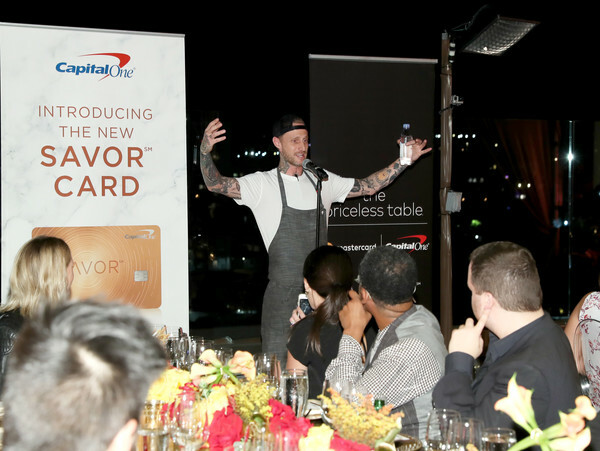 The event was meant to celebrate the launch of the new Capital One Savor Card, a new card offered from Capital One and Mastercard focused on earning rewards for food and dining purchases. With a credit card aimed at celebrating food as a partner, the Ink.Well chef decided to put together a four-course meal that connected to his past in hopes creating an authentic culinary moment that the guests could keep as a memory for years to come… he did not disappoint. 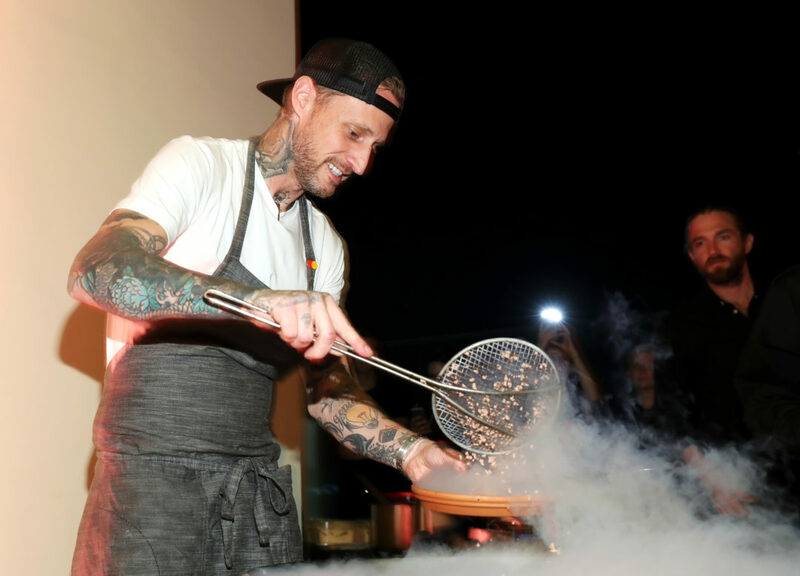 As guests exited the penthouse to the rooftop overlooking Hollywood Boulevard champagne began to flow and appetizers were passed, most notably an avocado cannelloni with caviar and served on Voltaggio’s take on a Dorito chip. Once sat guests enjoyed a dish of branzino with octopus ragu and young fennel, followed by the main course-wagyu short rib, lacquered in red wine and carrot juice with charcoal potatoes. Finally, Voltaggio appeared to put on a show in his preparation of dessert, a Mexican chocolate pot de creme with caramelized white chocolate, smoked chocolate rocks, and mezcal caramel. A historic meal in a historic setting.